Earlier this month, the non-profit research group RAND Corporation released yet another study questioning the return on investment (ROI) of workplace wellness. The study found that wellness can improve employee health and reduce costs, if the employer strategically engages employees beyond industry-standard lifestyle management tactics. Last May, the RAND Wellness Programs Study commissioned by the U.S. Department of Labor estimated that workplace wellness saves the average employer only about $157 per employee per year. However, one of the criticisms of RAND was that its study included small employers (with as few as 50 employees), which are less likely to invest in high-quality analysis, planning, programs, and communications. In other words, for larger companies able to afford best-practice wellness that helps prevent major health problems, the ROI might be more impressive. Enter PepsiCo, a Fortune 100 employer with 67,000 health plan participants eligible to participate in its “Healthy Living” wellness program. 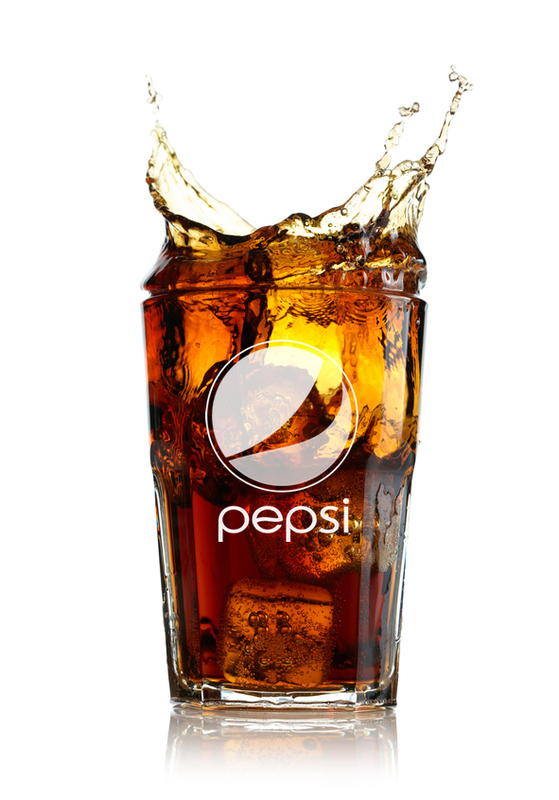 RAND’s new study released this month is based on seven years of data from PepsiCo. The research team found Healthy Living reduced health care spending by $30 per member per month, or $360 per year. For every dollar spent on program vendors and screenings, $1.50 was returned in savings. On the surface, that’s not an awful ROI; but $360 is a drop in the bucket compared to the $10,000+ average health care cost per employee, and not very exciting for a seven-year investment. Lifestyle management: Designed to help employees avoid or reduce health risks, such as smoking, poor nutrition, and physical inactivity, to improve wellbeing and prevent the development of serious (and expensive) health problems. Disease management: Designed to help employees who already have a chronic condition (such as heart disease or asthma) take better care of themselves — for example, by educating them about treatment options or reminding them to take their prescribed medications. 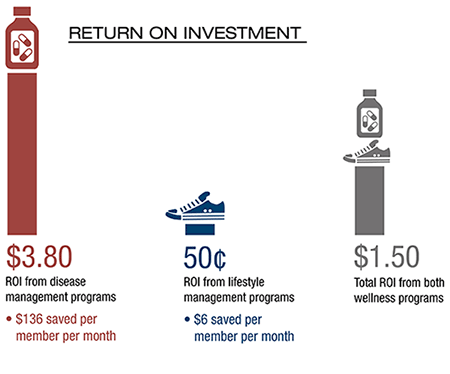 According to RAND, the ROI of Healthy Living’s individual components differ strikingly: $3.80 saved for every dollar PepsiCo spent on disease management (driven in large measure by a nearly 30% reduction in hospital admissions), but only $0.50 for lifestyle management. Set clear goals. RAND’s research shows that lifestyle management can reduce health risks such as smoking, obesity, and lack of physical activity; but the cost savings may not be realized for years or even decades. Disease management is more likely to provide cost savings that can be realized in the shorter term. Don’t forget broader goals. While the headlines about the PepsiCo study focus on reducing the employer’s health care costs, the study acknowledged that lifestyle management can improve employee health as well as productivity (for example, at PepsiCo absenteeism was reduced by one hour per employee per year at PepsiCo). Executed as part of a broader culture of health, these programs can also improve recruitment (including attracting healthier employees in the first place), employee trust in management, and worker energy and focus. Take an integrated approach to communicating the two components. At PepsiCo, among people who participated in both disease management and lifestyle management, the savings were even better: $160 per month or $1,920 per year (with a 66% drop in hospital admissions). Many employers offer programs in silos; however, it’s much more powerful to take an integrated approach to communicate both components consistently with the employer brand. Develop integrated communications for all workforce health management components. Based on the evidence mentioned in the previous bullet, it’s possible that PepsiCo would have had less success with disease management had it not offered the lifestyle management component. One of our clients has found similar synergies; for example, as employees have grown to trust its medical director and on-site health coaches, the employees are more likely to listen and act on their guidance regarding topics such as hospital selection, health care consumerism, and complex care coordination. Frequent integrated communications about the “what” and “why” of all the components, along with personal stories about the health coaches and employees they serve, has been key. Does your organization offer workplace wellness? If so, what seems to work or not work?